Revamp demand forecasting processes to reduce obsolete inventory & mitigate negative financial effects of the digitisation of the publishing industry. Identify and implement a new solution to consolidate and analyse sales, operations, and financial data from multiple business units and programmes. A total transformation of the publisher’s business processes, leading to ~15% improvement in forecast accuracy, saving ~$20 mn in annual costs. For a large publisher, the digitization of the publishing industry progressed much faster than anticipated. At one point it found that the value of its obsolete inventory equaled nearly 5 percent of sales. What started as a demand forecasting process redesign became a technology-enabled business process improvement that saved millions and vastly improved the company’s competitive stance. Most business leaders have heard the pervasive, catch-all phrase “enabling business processes through technology.” Although digitization dominates business-process improvement discussions across many organizations, the finance and accounting functions do not typically reside at the forefront of digital transformations—but they can and should. As an example, most book publishers expected that over time their customers would move away from printed books and toward e-readers and similar delivery technologies. Publishers were thus contending with the early stages of this shift and planning for the sweeping changes it would bring to nearly every facet of their organization. Most of them, however, didn’t guess how quickly they would have to make the shift to digital in all its processes, from pricing through delivery, and didn’t foresee the impact on finance and accounting. A US-based textbook publisher had mapped out preliminary steps for how it might deliver digital versions of its products, as it expected school districts to gradually move to e-readers. What they expected to be years away, however, happened much more quickly: In 2009, the Florida state legislature passed a law mandating the use of digital textbooks and web-based instructional materials to contain education costs. Other states and municipalities soon followed suit. This type of legislation proved to be problematic for publishers, for whom accurate demand forecasting is critical. Generally, textbook publishers have short lead times on very large orders. It’s common for school districts to commit in May to the books they need for the school year starting in August, leaving about a two-month window to provide the product to customers. Publishers can’t possibly manufacture all of their inventory in the course of two months, so they place bets on what they think customers will want and cross their fingers that they’re right. The rapid shift toward demand for digital textbooks eased some of these supply chain pressures but also rendered its existing demand-forecast model obsolete, in short order. Compounding this shift was that many school districts were demanding additional digital products from their suppliers—such as worksheets, lesson plans, and other "free" resources—to complement the textbooks they did buy. The publisher’s sales team started throwing in these ongoing web services as a “kicker” to close deals. But the sales team didn’t understand that there were serious accounting consequences to including additional products and services in contracts. As soon as the publisher provided a suite of services along with books, its revenue stream was tied to those services. The publisher would now be forced to spread out the recognition of that revenue over the life of the contract, rather than realizing the full amount of the sale immediately. So in addition to revamping its forecasting capabilities, the shift to digital products meant that the publisher would need to form and implement a brand-new approach to revenue recognition. This publisher’s shift toward digital solutions was impacting the entire business. To make the required changes, multiple departments would need to work across silos and coordinate their efforts. In the post-merger environment at this publishing company—it had recently acquired an entity nearly equal to its own size—the ability to work across those silos would be particularly important to address. At that time, there was little communication among departments of the recently doubled entity, and groups performing exactly the same function rarely interacted with one another. The result was that no one had a firm handle on any of the company’s end-to-end processes, and accountability was largely absent. Days after the publisher realized that it had to destroy obsolete inventory worth roughly 5 percent of annual sales, a senior vice president in the finance department called in Protiviti. Our first priority was to identify all the key processes and accountability chains through a Six Sigma RACI matrix—naming the personnel who were responsible, accountable, and consulted through each critical step of delivery. Though decidedly not digital in concept, this activity revealed redundant or otherwise inefficient activities—and an opportunity to realize huge gains by mapping out end-to-end processes and providing process owners with a clear understanding of how their actions affected business units beyond their own. The savings from lower inventory-carrying costs paid for the implementation within just a few months. Beyond inventory forecasting, other business areas would also need to shift and adjust to the digitization of the publisher’s products. Continuing our work together, Protiviti carried on improvement efforts by addressing other business areas: We worked with the client’s chief accounting officer to revamp its revenue-recognition policy—a recently raised issue that resulted from a growing shift to services. 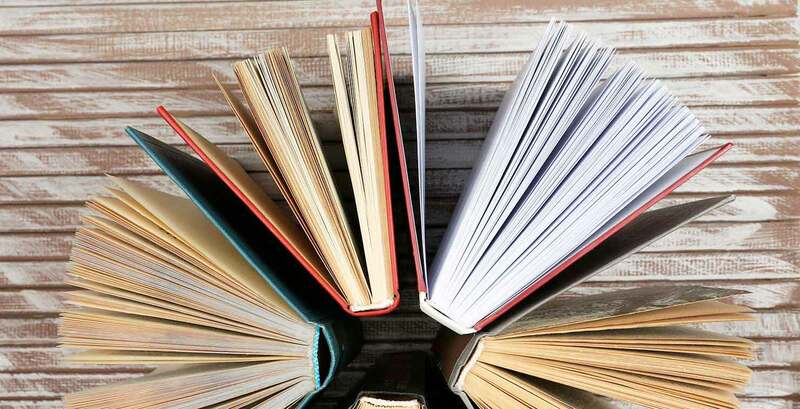 We helped the publisher adopt new contractual approaches that effectively disassociated clients' purchase of classroom textbooks from the digital services add-ons. Taken together, these efforts continue to provide a clearer and more granular picture of both supply- and demand-side management that bests competitors and fuels better decision-making as well as top- and bottom-line growth.